2. 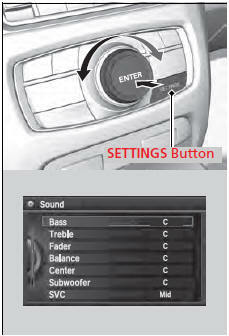 Rotate to select Audio Settings, then press . 3. Rotate to select Sound, then press . The SVC has four modes: Off, Low, Mid, and High. 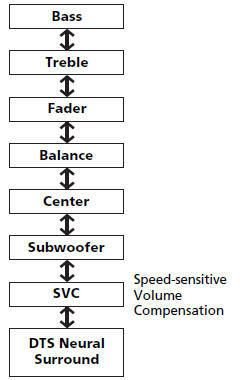 SVC adjusts the volume level based on the vehicle speed. As you go faster, audio volume increases. As you slow down, audio volume decreases. DTS Neural Surround is a trademark of DTS, Inc.